Datto, Inc., is a Connecticut-based company that provides products and services for hybrid cloud business continuity and disaster recovery. 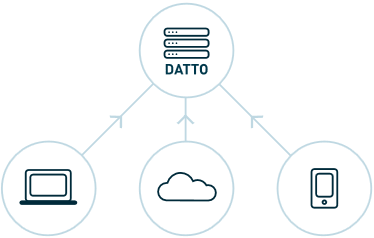 Datto’s state-of-the-art technology and infrastructure protects businesses from downtime, even when physical hardware has been destroyed. For business relying on their data stored in the cloud, Datto protects this critical information from accidental deletions, ex-employees, even malicious activity by backing up, protecting and instantly restoring accounts and data. Datto’s Rochester office is growing rapidly as Datto is able to tap the technically savvy and talented graduates coming out of RIT’s Department of Computer Science every year.